Israeli forces continued with systematic crimes, in the occupied Palestinian territory (oPt), for the week of 09 – 15 August, 2018. Israeli warplanes fired 60 missiles targeting many areas in the Gaza Strip; a Pregnant woman and her baby were killed, and 25 other civilians, including 4 children and 4 women, were wounded. Israeli forces continued to use excessive force against Palestinian protestors in the Gaza Strip. 3 Palestinian civilians, including a volunteer paramedic, were killed, while a civilian succumbed to his pervious wounds. 157 Palestinian civilians, including 27 children, 2 women, 2 journalists, and 2 paramedics, were wounded; 11 of them sustained serious wounds. 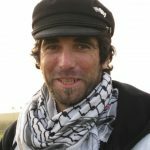 Israeli forces continued to use lethal force against Palestinian civilians, who participated in peaceful demonstrations organized within the activities of the “Great March of Return and Breaking the Siege” in the Gaza Strip, which witnessed for the 20th week in a row peaceful demonstrations along the eastern and northern Gaza Strip border area. During the reporting period in the Gaza Strip, the Israeli forces killed 5 Palestinian civilians, including a 9-month pregnant woman, while another civilian succumbed to his previous wounds. Moreover, the Israeli forces wounded 182 civilians, including 31 children, 6 women, 2 journalists, and 2 paramedics. Eleven of those wounded sustained serious wounds. 157 of the wounded persons, including 27 children, 2 women, 2 journalists, and 2 paramedics, were injured while participating in Return and Breaking Siege March, while the rest of the wounded persons were injured during launching airstrikes. In the West Bank, the Israeli forces wounded 6 civilians, including 2 children. All of those wounded sustained wounds during the incursions. In the Gaza Strip, Enas Suleiman Ahmed Abu Khammash (23), a 9-month pregnant, and her child Bayan Mohammed Kamel Abu Khammash (a year and a half) were killed after a missile fell over thier house in Wadi al- Salqa village in the center of the Gaza Strip. Enas’s husband Mohamed Abu Khammash, who sustained shrapnel wounds throughout his body, rented the house. On 10 August 2018, Israeli forces killed 3 Palestinian civilians, including a paramedic, after opening fire at thousands of Palestinian civilians participated in Return and Breaking Siege March, east of al-Shawkah village, east of Rafah, south of the Gaza Strip. Two of the above-mentioned civilians were killed on the same day while the 3rd one succumbed to wounds he sustained at next day dawn. In the same context, medical sources announced the death of Wesam Yusuf Abdullah Hejazi (30), from Khan Younis, while he was at an ambulance in the Egyptian side of Rafah crossing. Wesam succumbed to wounds he sustained during his participation in the Return demonstration, east of the city. Wesam was wounded on 14 May 2018, after being hit with a live bullet to the head by the Israeli forces while targeting thousands of participants, who were near the border fence with Israel, east of ‘Abasan al-Kabirah village. 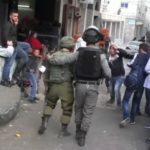 During the reporting period, while using the excessive force against the peaceful protesters along the Gaza Strip borders, the Israeli forces wounded 157 Palestinian civilians, including 27 children, 2 women, 2 journalists, and 4 paramedics. Eleven of those wounded sustained serious wounds. As part of targeting the border areas, on 10 August 2018, Israeli forces stationed along the border fence between Israel and the Gaza strip fired an artillery shell at a residential house, southeast of al-Buraij, in the central Gaza Strip. As a result, the house was partially damaged, but no casualties were reported. On 15 August 2018, Israeli soldiers stationed behind the border fence between the Gaza Strip and Israel, east of Deir al-Balah in the central Gaza Strip, opened fire at Palestinian farmers while they were working in their lands. As a result, the farmers were forced to leave their lands fearing for their lives, but no casualties were reported. As part of the airstrikes, on 04 August 2018, Israeli warplanes launched dozens of airstrikes at military sites belonging to the Palestinian resistance groups, civilian targets and open lands, in which 60 missiles were fired. As a result, 25 Palestinian civilians, including 4 children and 4 women, sustained shrapnel wounds, in addition to the injury of dozens of civilians due to scattering the glasses. The Israeli bombing resulted in the destruction of the Sa’ed al-Mishal Cultural Centre located on ‘Aydiyia Street in Southern al-Rimal neighborhood, west of Gaza City. The 400-sqaure-meter building was comprised of 5 floors, which includes the Egyptian community’s office. 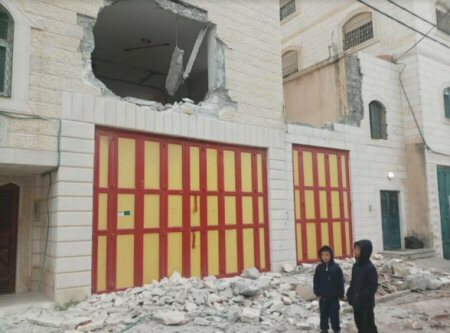 The Israeli warplanes directly launched 3 airstrikes at the abovementioned building, causing material damage to nearby houses and shops. As part of targeting Palestinian fishermen in the Gaza Sea, the Israeli forces continued to escalate their attacks against the Palestinian fishermen, pointing out to the ongoing Israeli policy of targeting their livelihoods. During the reporting period, PCHR documented 5 shooting incidents at the fishermen, including 4 in the northern Gaza Strip and 1 in the centre of the Gaza Strip. During these attacks, Israeli naval forces arrested 5 fishermen from the same family. In the West Bank, Israeli forces wounded 6 civilians, including 2 children. All of them were wounded during the incursions. During the reporting period, Israeli forces conducted at least 73 military incursions into Palestinian communities in the West Bank and 4 similar ones into Jerusalem and its suburbs. During those incursions, Israeli forces arrested at least 53 Palestinians, including 3 children and 2 women, in the West Bank. Meanwhile, 18 other civilians, including 10 women, were arrested in Jerusalem and its suburbs. Among those arrested were a journalist ‘Ali Dar ‘Ali (35), who works as a reporter at Palestine Channel. 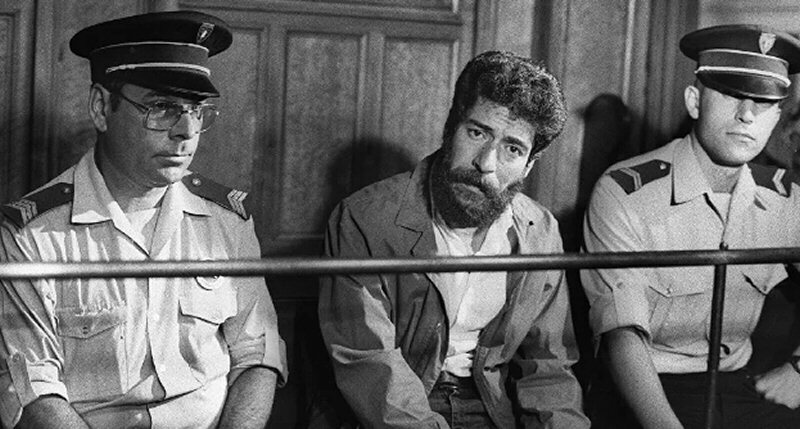 ‘Ali was arrested from his house in Barham village, northwest of Ramallah. As part of demolishing houses and civilian facilities, on 15 August 2018, the Israeli Municipality demolished a residential building comprised of 2 under-construction apartments belonging to Nader Nsaer Abu Riyalah in al-‘Issawiyia village, northeast of occupied East Jerusalem, under the pretext of non-licensing. The Israeli Municipality fixed a demolition order to the building 2 weeks ago, so his lawyer headed to the municipality to freeze the order and license the building. The Israeli bulldozers suddenly demolished the building. As part of confiscating lands in favor of settlement projects, Israeli Municipality staff moved into Silwan village, south of Occupied East Jerusalem’s Old City. They fixed notices to confiscate dozens of dunums in Wadi al-Rababah and al-‘Abbassya neighborhoods and attached numbered maps with them showing the parts that are meant to be confiscated under the pretext of “gardening free lands”. Wadi Hilweh information center in Silwan issued a statement refuting the Israeli Municipality’s claims. The statement said that the notices, which were fixed by the Israeli Municipality staff, threaten dozens of dunums of Silwan village in Wadi Rababahb, Wadi Hilweh, Be’r Ayoub and al-Nabi Dawood neighborhoods. All the lands belong to the inhabitants of Silwan, who have all documents and ownership papers, and some other lands belong to the Greek Orthodox Church. Wadi Hilweh information center refuted the Israeli Municipality’s claim that those plots of lands are empty. As part of demolishing crimes, on 09 August 2018, Israeli forces demolished a shop belonging to ‘Ali al-Shaiekh Khalil (45) in Marj Na’jah village, north of Jericho. ‘Ali said that he was shocked by the Israeli forces raiding his shop and then demolishing it without allowing him to vacate its contents. It should be noted that the shop was built on an area of 40 square meters and used for selling foodstuffs. On the same day, engineers and surveyors belonging to the Israeli authorities started to place signs and markers for a number of places in Khelet al-Daliya in the center of Nahaleen village, west of Bethlehem, in order to link the area with the settlement street No. (60). This street is wrapped around ‘Arqoub 4 villages to reach “Betar Illit” settlemen, which is established on Khelet al-Daliya lands. The four villages that have border links with each other are part of the so-called Arqoub villages, with a total population of 20,000. On 14 August 2018, Israeli forces demolished an under-construction-house belonging to Mohammed ‘Ali al-Dabwani (35) in Dir Dabwan village, east of Ramallah. The house was completely demolished without any warning under the pretext of non-licensing.The 2-story-house was built on an area of 250 square meters 5 months ago and was overlooking at “Migron” settlement, which was established on the lands of Barqa village, adjacent to Deir Dabwan village. ‘Ala’a Abdul Fattah Ibrahim al-Namlah (35), a reporter at al-Quds Network, was hit with a live bullet to the right leg. The wounded civilians were taken to the medical point in the Return demonstrations and then transferred Abu Yusuf al-Najjar Hospital in Rafah and Gaza European Hospital in Khan Younis. Doctors classified 3 civilians’ injuries as serious. In addition, dozens of civilians suffered tear gas inhalation and seizures after tear gas canisters were heavily fired by the soldiers stationed along the border fence and by drones hovering over the protesters. An ambulance also was hit with a live bullet to the left door, which led to breaking its window. At approximately 03:30 on Saturday, 11 August 2018, medical sources at Gaza European Hospital in khan Younis announced the death of Ahmed Jamal Suleiman Abu Louli (31) succumbing to his wounds after being hit with 3 live bullets to the pelvis. Ahmed underwent a surgery that continued for 5 hours as he received 30 blood units. Ahmed then stayed at the ICU until his death was announced. Around the same time, hundreds of civilians swarmed to the Return encampments established by the Supreme National Authority for the Great March of Return and Breaking Siege, east of Malakah intersection, east of al-Zaytoun neighborhood, east of Gaza City in the 20th consecutive Friday titled “Freedom and Live.” The activities included raising flags, chanting national slogans, setting fire to tires and flying kites. Though the demonstrations were fully peaceful, Israeli forces stationed behind the border fence between the Gaza Strip and Israel deliberately and randomly fired live and rubber bullets and tear gas canisters at them. As a result, 48 civilians, including 2 children, were wounded. Thirty eight of them were hit with live bullets and its shrapnel, 10 were hit with tear gas canisters. Around the same time, hundreds of civilians swarmed to the Return encampments established by the Supreme National Authority for the Great March of Return and Breaking Siege, 400 meters away from the border fence between the Gaza Strip and Israel, east of al-Buraij in the central Gaza Strip. Dozens of them approached the border fence, set fire to tires and threw stones at Israeli soldiers stationed behind sand barriers along the border fence. The Israeli forces fired live bullets and tear gas canisters at the participants. The clashes continued until approximately 20:30 on the same day. As a result,13 civilians, including 2 children, were wounded. Eleven of them were hit with live bullets and 2 were hit with tear gas canisters. The wounded civilians were taken via ambulances belonging to Palestine Red Crescent Society (PRCS) to al-Aqsa Hospital in Deir al-Balah. Doctors classified their injuries between minor and moderate. Around the same time, thousands of civilians swarmed to the Return encampment, east of Khuza’ah village, east of Khan Younis, to participate in the demonstrations established by the Supreme National Authority for “the Great March of Return and Breaking Siege”. 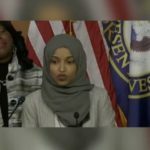 They chanted national slogans and flew kites and balloons as hundreds of them, including women and children, approached the border fence between the Gaza Strip and Israel and set fire. A number of them attempted to throw stones at Israeli forces. The Israeli tanks stationed adjacent to the demonstrators’ gathering and heavily opened fire every now and then at the participants in order to disperse them. The Israeli snipers further deliberately and selectively targeted the participants in the back rows, who were about 200 meters away from the border fence The shooting continued until 20:00 on the evening. They also fired tear gas canisters at them. he clashes continued until approximately 20:00 on the same day. As a result, 36 civilians, including 4 children and 3 paramedics, were wounded. Twenty three of them were hit with live bullets and 7 others were hit with tear gas canisters. The wounded civilians were transferred to Gaza European and Algerian Hospitals in Khan Younis. Doctors classified 3 civilians’ injuries as serious. At approximately 16:30, hundreds of Palestinian swarmed to the Return encampments established by the Supreme National Authority for the Great March of Return, east of Abu Safiyah Hill, northeast of Jabalia in the northern Gaza Strip. 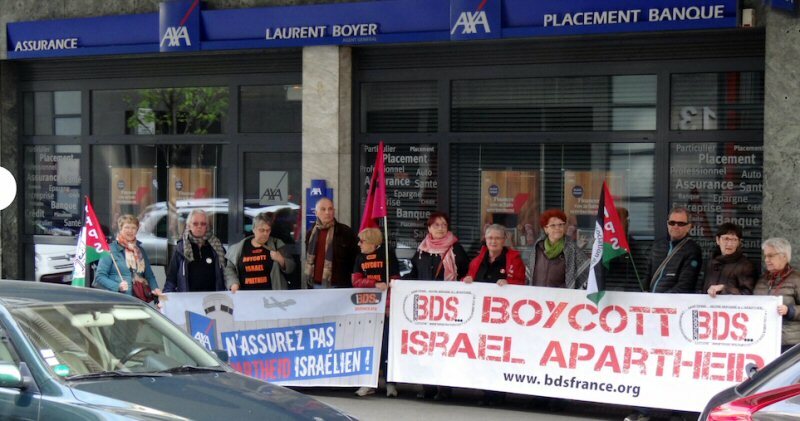 The protestors raised Palestinian flags, chanted national slogans and set fire to tires. Dozens of them approached the border fence between the Gaza Strip and Israel and threw stones at Israeli soldiers stationed behind the border fence. The Israeli forces deliberately and randomly fired live and rubber bullets and tear gas canisters at them. The clashes continued until approximately 20:30 on the same day. As a result, 33 civilians, including 9 children, 2 women, and a paramedic, were wounded. Twenty nine of them were hit with live bullets and its shrapnel and 4 were hit with tear gas canisters. The wounded civilians were transferred via ambulances belonging to PRCS, Medical Services, and the Ministry of Health to the Indonesian and al-‘Awda Hospitals. Doctors classified 4 civilians’ injuries as serious. The wounded paramedic identified as Khalid Hasan Ibrahim Ayoub (56), a paramedic at the Civil Defense from Beit Lahia, was hit with a tear gas canister to the back. At approximately 18:00 on Saturday, 11 August 2018, Israeli forces stationed behind the border fence between the Gaza Strip and Israel, east of Malakah intersection, east of al-Zaytoun neighborhood, east of Gaza City, opened fire at a group of civilians participating in the March of Return and Breaking Siege activities. As a result, 2 civilians were hit with live bullets to the lower limbs. 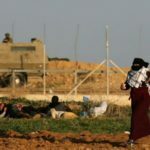 At approximately 16:25 on Sunday, 12 August 2018, Israeli forces stationed behind the border fence between the Gaza Strip and Israel, east of Abu Safiyah Hill, northeast of Jabalia in the northern Gaza Strip, opened fire at a number of civilians participating in the March of Return and Breaking Siege activities. As a result, 2 civilians, including a child, were wounded. At approximately 22:30 on Sunday, 12 August 2018, medical sources announced the death of Wesam Yusuf Abdullah Hejazi (30), from Khan Younis, while he was in an ambulance in the Egyptian side of Rafah crossing. Wesam succumbed to wounds he sustained during his participation in the Return demonstration, east of the city. According to PCHR’s fieldworker, Wesam died at an ambulance in the Egyptian side of Rafah crossing. 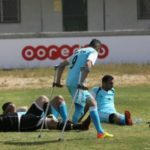 Wesam returned to the Gaza Strip after a failed attempt to send him to Turkey for medical treatment. 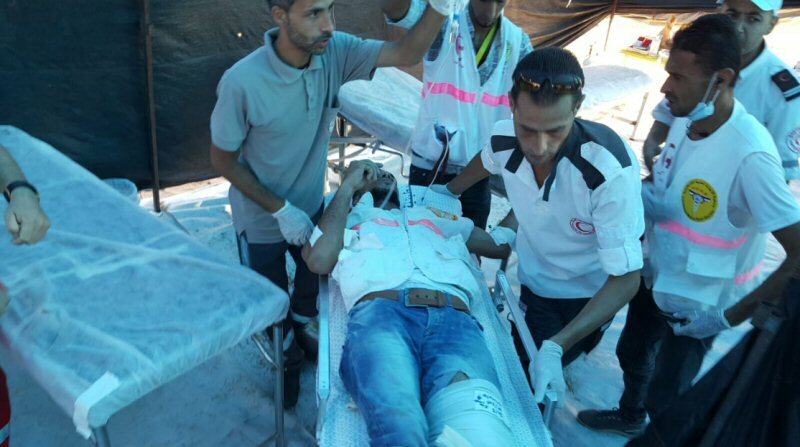 Wesam’s family said to PCHR’s fieldworker that Wesam, who is married and has a child, was wounded on 14 May 2018, after being hit with a live bullet to the head by the Israeli forces while targeting thousands of participants, who were near the border fence with Israel, east of ‘Abasan al-Kabirah village. During the demonstrations that were organized on 14 May 2018, tents were established for one day. Israeli forces used excessive lethal force killing 16 civilians and causing injuries to dozens of civilians. Many civilians sustained serious injuries, including Hejazi, who was hit with a live bullet to the head. Doctors classified his injury as serious and he entered into a comma in the ICU section at Gaza European Hospital. Wesam also underwent several surgeries, during which he stayed unconscious. The family mentioned that on 01 August 2018, Wesam obtained a medical referral to travel to Nasser Institute For Research and Treatment in Egypt, so that he would then be transferred to Turkey due to prior coordination. However, hospitals in Egypt refused to receive Wesam for his serious health condition. 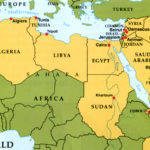 The family was then forced to admit him to Al-Sefarat Hospital in Cairo, which is a special hospital, until the travel procedures complete in Turkey. However, Wesam could not travel due to the refusal of the Egyptian Airline to transfer him. Therefore, the family was forced to bring Wesam Back to the Gaza Strip. 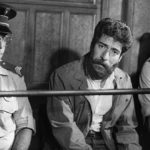 He arrived at approximately 17:00 on Saturday, at the Egyptian Hall and stayed there until approximately 22:30 on the same day and his death was announced inside the crossing. At approximately 13:40 on Friday, 10 August 2018, a group of Palestinian civilians moved from Kufor Qaddoum village, northeast of Qalqiliyah, to the eastern entrance to the village, which has been closed for 15 years in favor of the entrance to “Kedumim” The protestors chanted national slogans demanding to end the occupation, condemning the decisions to demolish Khan al-Ahmer Bedouin Community and deporting the inhabitants, and condemning the Israeli forces’ crimes against Palestinian protestors along the eastern border of the Gaza Strip within “The Great March of Return and Breaking the Siege” activities. 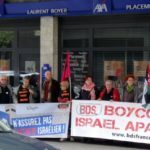 Several representatives of national factions in the northern West bank and a number of foreign and Israeli activists participated in the demonstration. The Israeli forces dispersed the demonstrators by firing live and rubber bullets, sound bombs and tear gas canisters at them. As a result, a 50-year-old civilian was hit with a rubber bullet to the chest. The Israeli forces also detained a PRCS ambulance in addition to other vehicles near the demonstration area. The soldiers used these vehicles as shields to hide behind them. they also prevented journalist Ja’far Ishtiyah from recording the incidents. On Wednesday, 15 August 2018, the Israeli Municipality demolished a residential building comprised of 2 under-construction apartments belonging to Nader Nsaer Abu Riyalah in al-‘Issawiyia village, northeast of occupied East Jerusalem, under the pretext of non-licensing. Mohamed Abu al-Humus, Member of the Follow-up Committee in al- ‘Issawiyia village, said that Israeli forces accompanied with bulldozers and Israeli Municipality staff moved into al- ‘Issawiyia village and completely surrounded the schools’ street. After that, the Israeli forces demolished the building, which was comprised of 2 apartments and belongs to Nader Abu Riyalah and his mother. He added that the building was built a year ago and it was sheltering his family, which includes many persons with disabilities. He pointed out that the Israeli Municipality fixed a demolition order to the building 2 weeks ago, so his lawyer headed to the municipality to freeze the order and license the building. The Israeli bulldozers suddenly demolished the building. Wadi Hilweh information center in Silwan issued a statement refuting the Israeli Municipality’s claims. The statement said that the notices, which were fixed by the Israeli Municipality staff, threaten dozens of dunums of Silwan village in Wadi Rababahb, Wadi Hilweh, Be’r Ayoub and al-Nabi Dawood neighborhoods. All the lands belong to the inhabitants of Silwan, who have all documents and ownership papers, and some other lands belong to the Greek Orthodox Church. Wadi Hilweh information center refuted the Israeli Municipality’s claim that those plots of lands are empty and explained that all the lands are planted with olive trees, fig and berries for decades. The statement pointed out that the Israeli authorities have prevented the residents from planting new trees for years, in addition to arresting and threatening them by the “Nature Authority” when they work to improve the infrastructure in their lands. 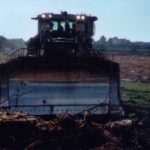 Israeli bulldozers also level lands and demolish the facilities established on the lands, especially in the areas of Wadi al-Rababah, where the authorities consider them as “public parks”. Wadi Hilweh information center added in its statement that the Israeli Municipality claims that the confiscation order for gardening purposes will be temporary, for 5 years. The center explained that the Israeli authorities, whether the Municipality, or the Nature Authority, or the Antiquities Authority, seize the lands of Silwan village in various ways, especially that the lands included in the notices are considered as the most targeted lands in the village in favor settlement projects. 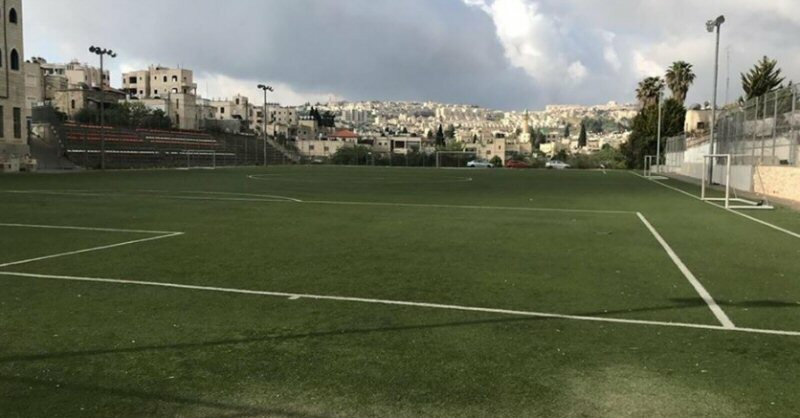 Excavation works were conducted on Silwan village’s lands in order to establish a pedestrian bridge, which will link al-Thawri neighborhood and al-Nabi Dawood area, passing through Wadi al-Rababah Valley. In addition, construction works were conducted in the area to build a restaurant and paths for settlers and tourists, in addition to excavating and placing بavasts , in addition to exavacaists , in addition to exavacating and placing phantom graves fake graves. Moreover, the owner families of the lands, threatened by confiscation, emphasized that they deserve more than the Israeli authorities to plant and lay chains and irrigation channels in their lands but the Israeli authorities prevent and chase them if they do any work in their lands, even if they clean them. On Thursday morning, 9 August 2018, engineers and surveyors belonging to the Israeli authorities started to place signs and markers for a number of places in Khelet al-Daliya in the center of Nahaleen village, west of Bethlehem, in order to link the area with the settlement street No. (60). This street is wrapped around ‘Arqoub 4 villages to reach “Betar Illit” settlemen, which is established on Khelet al-Daliya lands. Hassan Braija, Representative of the Wall and Settlement Committee, said that Israeli forces are seeking to turn Bateer, Wadi Fukin, Nahaleen and Housan villages, south of Bethlehem, into dwellings under the Israeli control, isolated from Bethlehem. The four villages that have border links with each other are part of the so-called Arqoub villages, with a total population of 20,000. It was mentioned above that the Israeli forces placed signs and markers in Khelet al-Daliya area in the center of Nahaleen village, in order to link the area with the settlement street No. (60), which is wrapped around ‘Arqoub’s 4 villages, to reach “Betar Illit” settlement. After that, they will work to expand it to reach the road between Nahalin and Housan, opening and closing it for Israeli settlers only. In addition to that, expanding this street to include the street that connects Bateer and al-Khader villages together, after confiscating large areas of the lands. Braija pointed out that there are at least 3 plans announced by the Israeli forces and they started implementing them at a cost of NIS 185 million. One of those plans is to excavate a tunnel from Jerusalem borders to reach “Beitar Illit” and “Eli Azar” settlements and to make Beir ‘Ouna site a part of Beit Jala city in the center of the road mentioned above. Moreover, they are working to build a railway parallel to that road to make the settlements established in the west of Bethlehem, one of its targets and to be linked with the railway between Haifa and Tal Aviv. 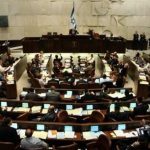 In addition, they are working to double the number of Israeli settlers in the settlement of “Beitar Illit” from 60,000 to 120,000 in the next five years. 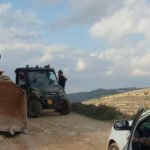 At approximately 17:00, on Tuesday 14 August 2018, an Israeli force backed by a military vehicle and a bulldozer and accompanied with a vehicle of the Israeli Civil Administration moved into Deir Dabwan village, east of Ramallah. They surrounded an under-construction-house belonging to Mohammed ‘Ali al-Dabwani (35) and completely demolished it without any warning under the pretext of non-licensing. Mohammed al-Dabwani said to PCHR’s field worker that the Israeli forces moved into the village on Monday evening and stationed in the center of the village. They surrounded his house from all directions and completely demolished it under the pretext of non-licensing. He added that he was surprised with a phone call from his neighbor informing him about demolishing his house. After that, he arrived to the area in which his house was built. The Israeli forces did not allow him to approach the house until they completely demolished it. He also said that he hasn’t received any construction violation before. The 2-story-house was built on an area of 250 square meters 5 months ago and was overlooking at “Migron” settlement, which was established on the lands of Barqa village, adjacent to Deir Dabwan village.